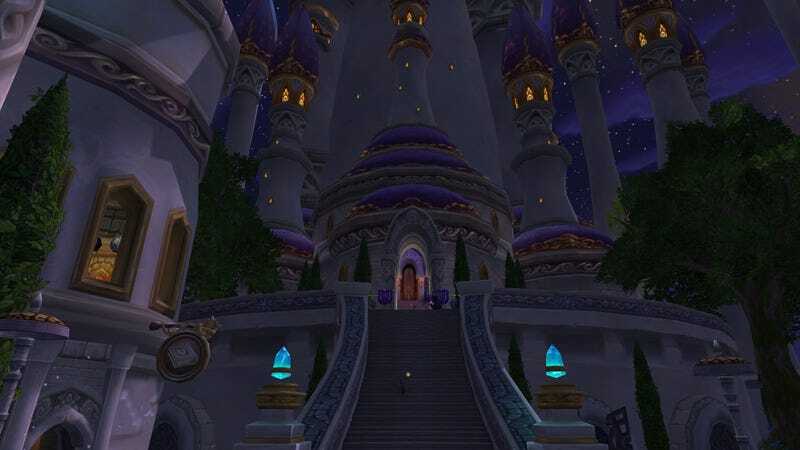 The fan favorite neutral flying city Dalaran, first introduced in Wrath, is returning in Legion as the expansion’s number one hangout place. And four expansion later, it’s a completely renewed hub. The folks over at Trade chat made a neat side-by-side comparison video using footage from the Legion’s alpha build. So it’s far from the final version, but it’s already looking a lot different. While the basic layout is the same, all the interiors have changed (the gnome diver’s still there though) and got a lot more stuff. There’s a Rogue hall with vaults in the sewers and players for example can interact with the lights outside. Oh and possibly no more Rhonin with his “Citizens of Dalaran” speech.